Las Vegas Dayclubs are a nouveau, fun way to party without having to stay up all night. 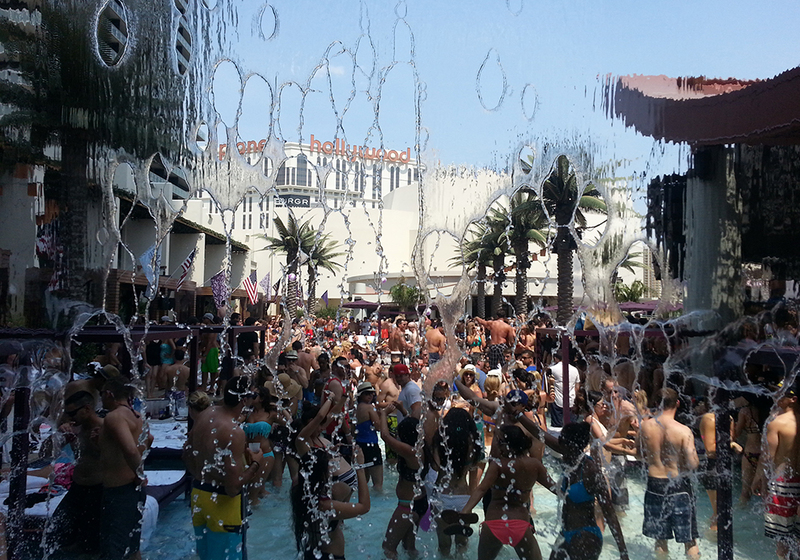 Marquee Dayclub is one of the best. Slideshow at bottom. 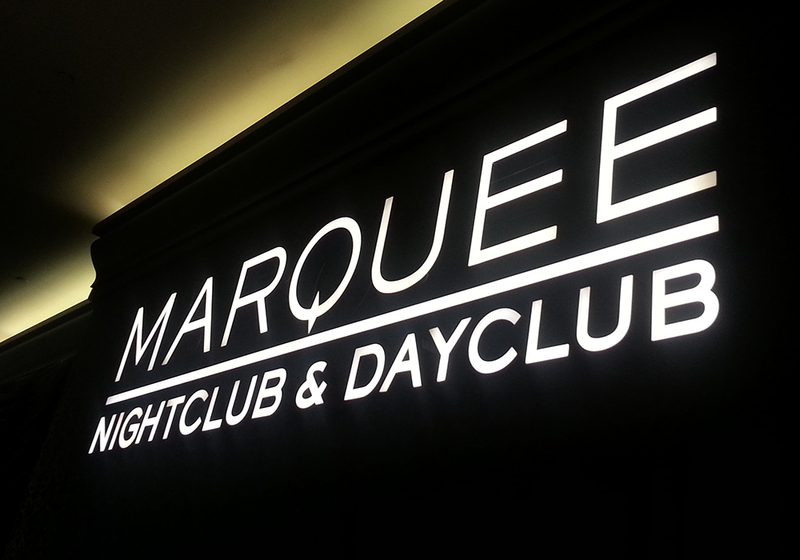 Marquee hosts a variety of top DJs to rock and spin their parties. The music, drink, and good times flow. I visited this Fourth of July. 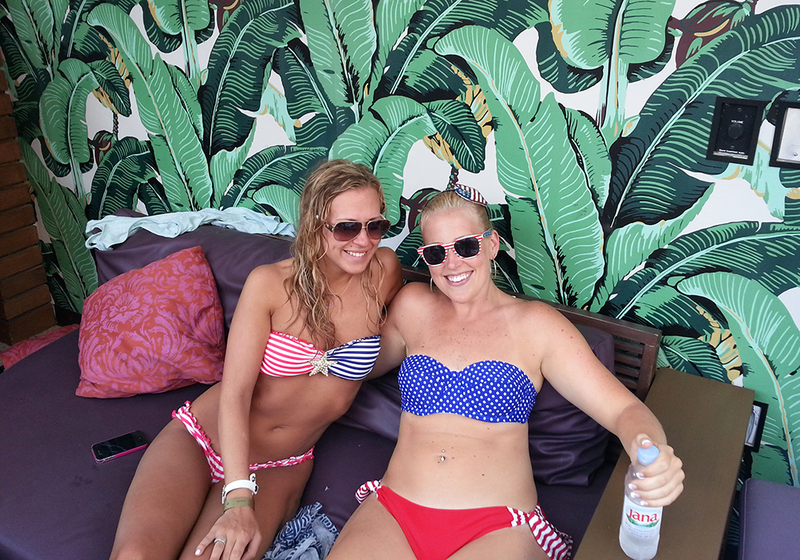 The dayclub offered open bar for one hour to those dressed in red, white, and blue. I found one group from New Jersey who donned patriotic colors while soaking up the festivities. They were outgoing and fun, which describes most dayclub participants. Marquee has a number of cabanas to rent, which considering the crowds and limited space, are the best option if you can afford it. Some cabanas have their own small pools right in front. 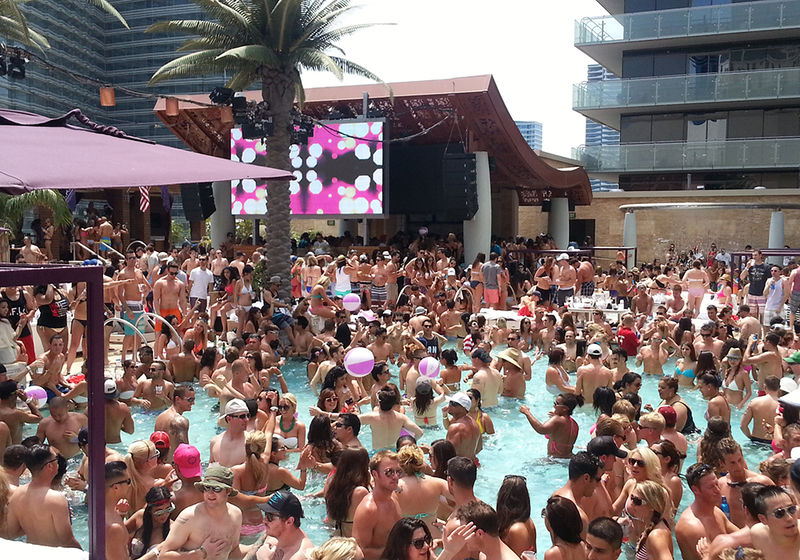 Dayclubs are growing more and more popular in Las Vegas, ever since Rehab kicked things off. 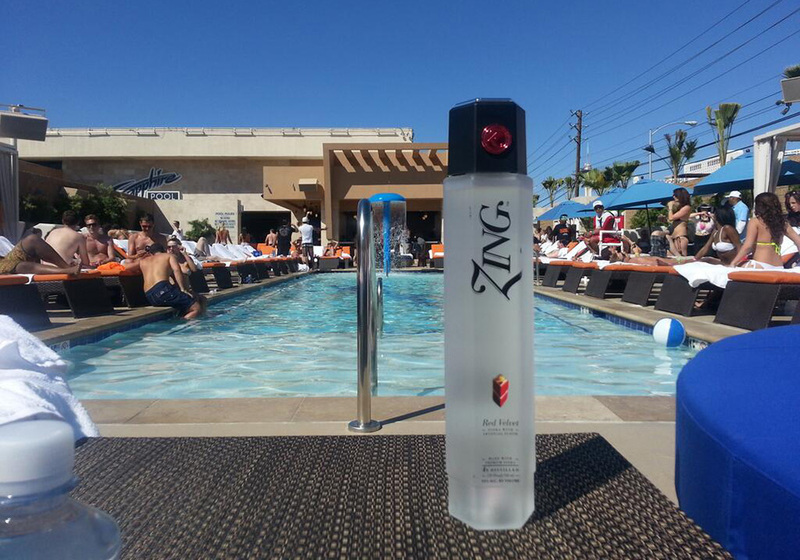 I’ve been to most, including Wet Republic, Encore Beach Club, and Tao Beach. Some wild visitors do double-duty, hitting the dayclubs and nightclubs, but for many, it’s a smart way to soak up Vegas craziness if you have to rise early the next day. There is one large caveat amidst all this delicious mayhem: beware of thieves, and of drunk people who may become thieves. Over the years I’ve had stuff stolen or lost things, and I’ve heard several similar stories. During this Marquee visit, alas, a newly-engaged couple had their handbags stolen, which contained their money, credit cards, and ids. I spoke with them in the elevator right after it happened. They weren’t drunk and they weren’t wild; they were simply in the wrong place at the wrong time, and left their stuff unattended a few minutes, in what appeared to be a safe place, lounge chairs by the pool. To make matters worse, Vegas clubs and hotels don’t do much. I’m not sure why. Maybe it’s because there are so many visitors and so much wildness. In my experience, my friends’ experience, and with this couple I’m describing, the same reaction was generated from staff: they shrug it off and ask you to check Lost & Found later. That’s it. No special effort. And I’m chagrined to say, valuable items almost never show up in a Las Vegas Lost & Found. 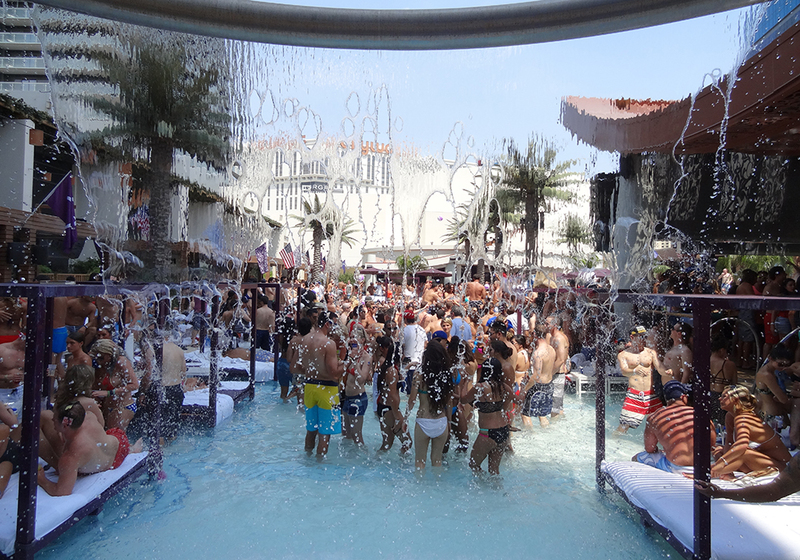 So there it is: dayclubs are festive, fun, and Dionysian-decadence at its finest. But keep constant vigilance with all your items!